"For as in one body we have many members, and the members do not all have the same function, so we, though many, are one body in Christ, and individually members of one another" (Rom. 12:4-5). We’re sometimes guilty of downplaying our Christian duties. It’s sometimes said, “You don’t need to go to church to be a Christian.” It’s true that we aren’t saved by going to church, but there’s a clear statement in Scripture that says Christians must meet together: “not neglecting to meet together” (Heb. 10:25). So church isn’t optional. Watching a church service on TV or the internet is not an acceptable substitute for being a part of a church. The Christian life is meant to be lived alongside other Christians. 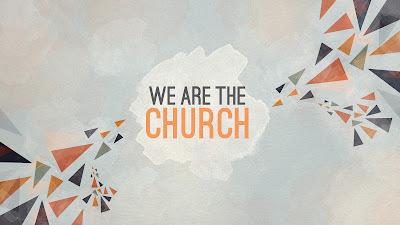 The apostle Paul writes that the church is like a body, and the members of the church are like parts of a body. How are church members like parts of a body? 1. As all the parts of a body are joined together to make one body, we all are joined together to make one church. Paul writes, “We, though many, are one body” (v. 5). We are joined together as one body because we are “in Christ” (v. 5). Faith in Christ unites us not only to Christ, but to one another. But when any group of people get together—even Christians—disagreements happen. We naturally have self-centered hearts. Paul writes, “I say to everyone among you not to think of himself more highly than he ought to think” (v. 3). It’s not all about “me.” The cure for self-centeredness is to remember the gospel—that God saves us by his grace through the death of Christ. When Paul writes about the Lord’s Supper in 1 Corinthians 11, he quotes Jesus saying, “This is my body” (1 Cor. 11:24). He then adds, “Anyone who eats and drinks without discerning the body eats and drinks judgment on himself” (1 Cor. 11:29). The “body” in v. 29 is often interpreted as the church (i.e., the body of Christ). When we partake of the Lord’s Supper we are to remember Christ’s death for us and we are also to remember that we are to act like Christ within the church (something the Corinthians weren’t doing). When you start to look down on others, remember the gospel. When you become consumed with your own needs and problems, remember the gospel. When the concerns of others don’t matter to you, remember the gospel. When you are struggling to forgive, remember the gospel. When you start complaining about other people, remember the gospel. 2. As all the parts of a body have different abilities, we all have different spiritual gifts. Paul adds, “Let us use [our gifts]” (v. 6). Paul said to Timothy, “Do not neglect the gift you have” (1 Tim. 4:14; cf. 2 Tim. 1:6). You might say, “But I don’t know what my gift is!” Just do something. Eventually you’ll discover your gift(s). 3. As a body has one head, we all have one head: Christ. Many times there are power struggles within churches. This kind of behaviour is totally opposed to how we are to behave as Christians. The one who is our leader is Christ: “he is the head of the body, the church” (Col. 1:18). The church is Christ’s church. He’s the one in charge. We follow him. And how does he want us to interact with one another? With humility and love. We might sometimes think that we’d be happier if we were on our own and not part of a church. But how could we use our gifts if we were on our own? And how could we benefit from others using their gifts? “Let us rejoice and exult and give him the glory, for the marriage of the Lamb has come, and his Bride has made herself ready” (Rev. 19:7). We call a wedding day “the big day,” and Canadians spend a lot of money to celebrate the big day. The average cost of a Canadian wedding (including the honeymoon) is $31,110. The average cost of a bridal gown is $1,716. The average cost of being a bridesmaid is $1,695. A destination wedding costs guests $1,500…and that doesn’t include the gift. There’s a wedding day coming for the church: “The marriage of the Lamb has come” (Rev. 19:7). The “Lamb” is Christ, and “his Bride” is the church. Why is the church called the bride of Christ? Sometimes a metaphor can be taken too far. The church is not like a bride in every way. We are called the bride of Christ for two reasons. 1. The church is loved by Christ. Christ is “the Lamb who was slain” (Rev. 5:12). When a man loves a woman, he is willing to make sacrifices for her (e.g., time, comfort). The sacrifice that Christ made for the church was his life. The apostle Paul writes, “Husbands, love your wives, as Christ loved the church and gave himself up for her” (Eph. 5:25; cf. 5:2). There is no word that adequately describes the degree to which Christ loves his bride. 2. The church is to bring joy to Christ. The church is to be like a beautiful bride. One of the greatest joys in a man’s life is seeing his beautiful bride on their wedding day. Revelation 19:8 says, “It was granted her to clothe herself with fine linen, bright and pure.” The fine line is interpreted for us: “the fine linen is the righteous deeds of the saints.” Paul states that Christ died for the church so “that he might sanctify her, having cleansed her by the washing of water with the word, so that he might present the church to himself in splendor, without spot or wrinkle or any such thing, that she might be holy and without blemish” (Eph. 5:26-27). The beauty of the church is her righteousness and holiness. Is Your Life Bringing Joy to Christ? Paul writes to the church in Corinth, “I feel a divine jealousy for you, to present you as a pure virgin to Christ. But I am afraid that as the serpent deceived Eve by his cunning, your thoughts will be led astray from a sincere and pure devotion to Christ” (2 Cor. 11:2-3). We desire to have “a sincere and pure devotion to Christ,” but we are often more devoted to other people or things. Thankfully, Christ doesn’t abandon us. He will keep his marriage covenant. But how can we be unfaithful to the one who died for us? There is probably a link between Ephesians 5:27-27 and Ezekiel 16:1-14. Do you not know that you are God’s temple and that God’s Spirit dwells in you? If anyone destroys God’s temple, God will destroy him. For God’s temple is holy, and you are that temple (1 Cor. 3:16-17). God dwells in the midst of the church. Have you ever walked alone in a forest at night? Everything is scarier when you’re alone in the dark. But as a church and as individual Christians, we are never alone. God is with us. Many times in the Bible God gives the promise of his presence to people who are afraid: “Fear not, for I am with you; be not dismayed, for I am your God; I will strengthen you, I will help you, I will uphold you with my righteous right hand” (Isa. 41:10). God’s presence gives us courage in the face of danger. Paul says that there are people in this world (sometimes even in the church!) who want to destroy us (“If anyone destroys God’s temple,” v. 17). How will God deal with a person who destroys a church? “God will destroy [i.e., eternally condemn] him” (v. 17). There’s coming a day when God’s people will be with God forever in heaven and there will be no reason to ever be afraid: “Behold, the dwelling place of God is with man. He will dwell with them, and they will be his people, and God himself will be with them as their God” (Rev. 21:3). The heavenly city will not have a temple “for its temple is the Lord God the Almighty and the Lamb” (Rev. 21:22). Until then, we—the church—are God’s temple. God is with us. We can’t see him, but he dwells in our midst. At our church youth group, we had a challenge called “The Walk of Fear.” It was scary because they had to do the walk alone in the dark, not knowing what would happen. We are not to do the walk of fear; we are to do the walk of faith. In every situation, God is with us to give us the courage and strength to face any danger. “So then you are no longer strangers and aliens, but you are fellow citizens with the saints and members of the household of God” (Eph. 2:19). In the NT, there are several metaphors for the church. A metaphor is “a word or phrase for one thing that is used to refer to another thing in order to show or suggest that they are similar”  (e.g., “The exam was a piece of cake.”) In this series, we’re going to examine four metaphors for the church. The church is (1) the family of God, (2) the temple of the Holy Spirit, (3) the bride of Christ, and (4) the body of Christ. In the apostle Paul’s letter to the Ephesians, all four of these church metaphors are found (see 2:18-22; 4:11-16; 5:25-27). When we think of the church as a building, there is the danger that Christianity becomes compartmentalized. When Christianity is compartmentalized, we “look at Sunday as the totality of the Church experience.”  But wherever we go, we are the church. Wherever we go, we are to take the love of Christ with us. Paul writes that the Ephesian believers (i.e., the church at Ephesus) are “members of the household of God” (2:19). Why is the church called the family of God? God is our Father, and we are brothers and sisters. God “predestined us for adoption as sons [and daughters] through Jesus Christ” (1:5). “Through [Jesus] we both [Jews and Gentiles] have access in one Spirit to the Father” (2:18). We are united because we all have “one God and Father” (4:6). Paul refers to other believers as “brothers” (6:23). Being called members of God’s family would give the Ephesians (mostly Gentiles) a sense of belonging. Paul writes, “Be imitators of God, as beloved children” (5:1). We are God’s “beloved children.” The Greek word for “beloved” (agapetos) was often used to describe an only child. God has millions of sons and daughters, but he is able to extend his love to each of his children as if he or she was his only child. As children of God, we are to imitate him. How do we imitate our heavenly Father? We are to be people of love. If it were not for God’s love (i.e., the giving of Christ for us), we would not be his children. In Paul’s first letter to Timothy, he writes, “If anyone does not provide for his relatives, and especially for members of his household, he has denied the faith and is worse than an unbeliever” (1 Tim. 5:8). We all know that we have the responsibility of caring for our family members. As Christians, we also have the responsibility of caring for our church family. As brothers and sisters in God’s family, we have the responsibility to care for one another. In his letter to the Galatians, Paul writes, “As we have opportunity, let us do good to everyone, and especially to those who are of the household of faith” (Gal. 6:10). How can we care for one another? There are many ways: (1) pray for one another (instead of gossiping); (2) offer to help others (e.g., a widow) with a need; (3) invite people into your home. A church is not to be just a group of individuals; it’s a family. God is our Father, and we are brothers and sisters. When we leave our church building, we shouldn’t forget about each other until the following Sunday. We have a responsibility to care for one another throughout the week. In the NT, “church” can refer to either a local church or the universal church (i.e., all believers throughout the world). “Enter by the narrow gate. For the gate is wide and the way is easy that leads to destruction, and those who enter by it are many. For the gate is narrow and the way is hard that leads to life, and those who find it are few” (vv. 13-14). Sometimes it’s good to take the middle ground. For example, in politics it can be helpful to take the middle ground between two extreme positions. But when it comes to following Jesus, there is no middle ground. Many people want to live in the middle ground (e.g., “I believe in Jesus, but I’m not religious”). What does Jesus say to people who want to live in the middle ground? Here’s what he says: “Enter by the narrow gate. For the gate is wide and the way is easy that leads to destruction, and those who enter by it are many. For the gate is narrow and the way is hard that leads to life, and those who find it are few” (vv. 13-14). In other words, there is no middle ground. You’re either on the road that leads to life and the road that leads to destruction, so make sure you’re on the right road. People don’t like to hear about hell. But if there is a hell and it can be avoided, my conscience demands that I share the truth. It’s often said that Jesus—known for his compassion—talked more about hell than any other person in the Bible. How do we make sure we’re on the right road? This is the most important question in life. It’s a question about our eternal destinies! 1. We must do a 180. When Jesus began his public ministry, he announced, “Repent, for the kingdom of heaven is at hand” (Matt. 4:17). To “repent” means to turn (i.e., do a 180 degree turn). To get on the narrow road, we must turn from our sin (i.e., repent) and turn to Jesus (i.e., put our faith in him). 2. We get confirmation that we’re on the right road by our actions. “You will recognize [false prophets] by their fruits (v. 16). “Everyone then who hears these words of mine and does them will be like a wise man who built his house on the rock” (v. 24). But we shouldn’t interpret Jesus’ words to mean that we work our way into the kingdom of God. We enter God’s kingdom by faith alone (Eph. 2:8-9), but faith results in works (Eph. 2:10). 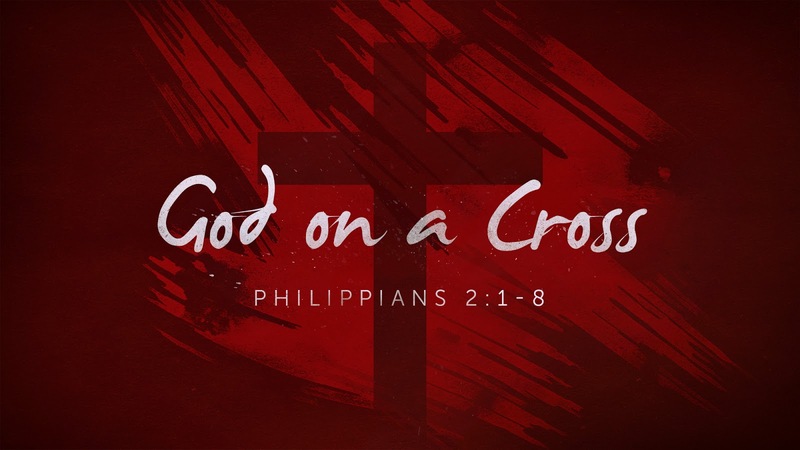 Jesus came to earth to go to the cross. He declared, “The Son of Man came not to be served but to serve, and to give his life as a ransom for many” (Matt. 20:28). “For” means “in the place of.” Jesus died in our place so that we could escape sin’s consequences (i.e., hell). People often ask, “If God loves us, why do people go to hell?” There had to be atonement for sin. 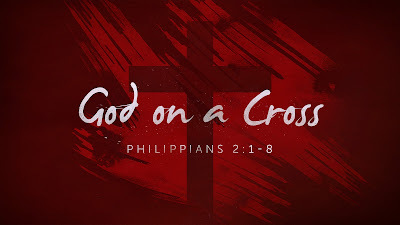 If God could simply overlook sin, why did Jesus die on a cross? You will be enriched in every way to be generous in every way, which through us will produce thanksgiving to God (v. 11). Have you noticed that we’re good at noticing the bad things that happen to us, but we often take the good things for granted? (We often say, “That’s just my luck!” thinking we have an unusual amount of bad luck.) A good practice (not just on Thanksgiving Day) is to make a list of the good things in our lives (i.e., a gratitude list). When we focus on the good things, our perspectives will change. The song “Count Your Blessings” says, “Count your many blessings, name them one by one, and it will surprise you what the Lord hath done.” But it shouldn’t surprise us. Why should we have grateful hearts? 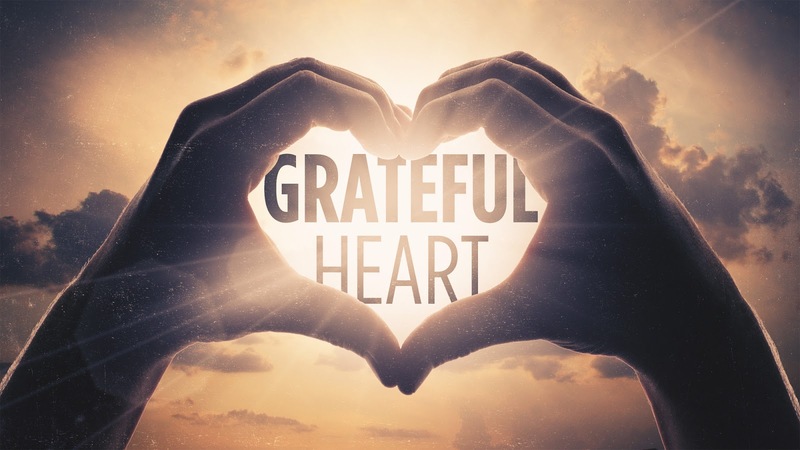 We should have grateful hearts because God has given to us an inexpressible gift. The apostle Paul concludes his section on giving by praising God for the gift he has given us: “Thanks be to God for his inexpressible gift!” (v. 15). Human words are unable to express how amazing God’s gift is. 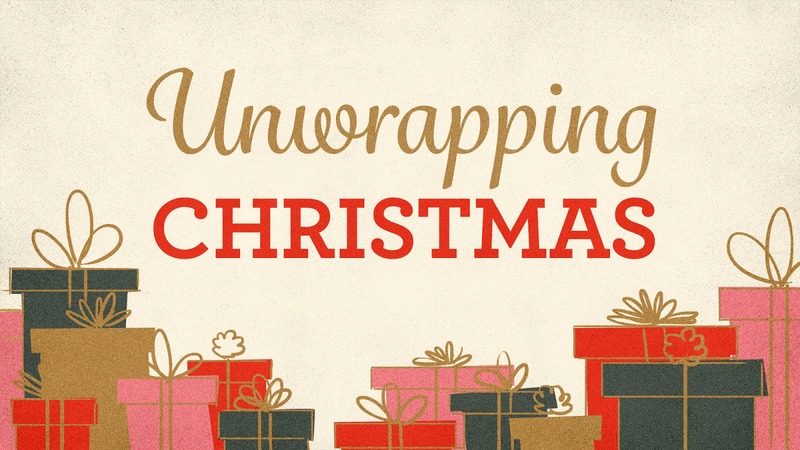 And what is God’s “inexpressible gift”? It is Jesus (and salvation through his death). “God loves a cheerful giver” (v. 7) because God is a giver. “Every good and every perfect gift is from above” (James 1:17). “God so loved the world, that he gave his only Son” (John 3:16). God “did not spare his own Son but gave him up for us all” (Rom. 8:32). People who see God as a taker don’t have grateful hearts. Being grateful has many benefits. In this passage, we see two benefits of having a grateful heart. 1. If we have grateful hearts, we will have generous hearts. Paul writes, “You will be enriched in every way to be generous in every way” (v. 11a). Notice that he says we are “enriched in every way” not merely so that we can have more but that we can give more (“to be generous in every way”). Of course, God doesn’t enrich us with only material blessings but also with spiritual blessings. “You know the grace of our Lord Jesus Christ, that though he was rich, yet for your sake he became poor, so that you by his poverty might become rich” (2 Cor. 8:9). Gratefulness for God’s grace produces generosity. 2. If we have generous hearts, others will have grateful hearts. Our generosity not only helps others; it also can result in people giving thanks to God. Paul says that the gift of money for the believers in Jerusalem “will produce thanksgiving to God” (v. 11b). Paul writes, “For the ministry of this service is not only supplying the needs of the saints but is also overflowing in many thanksgivings to God” (v. 12). God is glorified when we give. And doesn’t God deserve to be glorified? He has given us an inexpressible gift! We often think of giving as losing something (e.g., losing money, time), but we should really view generous giving as a gain. What do we gain? The joy of helping others and glorifying God. But we won’t see giving as a gain unless we have grateful hearts. Every child of God can write a long gratitude list, and at the top of the list is God’s inexpressible gift! “So whatever you wish that others would do to you, do also to them, for this is the Law and the Prophets” (v. 12). When I was a kid, I liked to play Spot the Difference games. Sometimes it can be difficult to spot the differences. How are followers of Jesus to be different? We are to be different by being people of love. If you’re wondering how you should act, remember one word: love. The apostle Paul writes, “The one who loves has fulfilled the law” (Rom. 13:8). Obeying God’s commands can be difficult, but knowing what we should do isn’t complicated. Love is the answer. Paul adds, “For the commandments, ‘You shall not commit adultery, You shall not murder, You shall not steal, You shall not covet,’ and any other commandment, are summed up in this word: ‘You shall love your neighbor as yourself.’ Love does no wrong to a neighbor; therefore love is the fulfilling of the law” (Rom. 13:8-10; Gal. 5:14; James 2:8). So Where Do We Get the Love? Jesus states, “You will recognize [false prophets] by their fruits” (vv. 16, 20). “Their fruits” refers to the way they live. Someone who knowingly is a false teacher lacks love. “The fruit of the Spirit is love” (Gal. 5:22). Can people spot the difference with you? Are you a person of love? Grant R. Osborne, Matthew, 265. To love someone doesn’t mean we always have to accept their behaviour (see v. 5). Sometimes doing good to someone requires correcting him when he does something wrong. Earlier, Jesus had said, “Do not think that I have come to abolish the Law or the Prophets; I have not come to abolish them but to fulfill them” (5:17). John Piper, “The Spring of Persistent Public Love,” http://www.desiringgod.org/messages/the-spring-of-persistent-public-love. “Ask, and it will be given to you; seek, and you will find; knock, and it will be opened to you” (v. 7). Jesus invites us to pray by telling us to “ask,” “seek,” and “knock.” In the original Greek, these three words are in the present tense, which means that Jesus is talking about habitual prayer (i.e., keep on asking, keep on seeking, and keep on knocking). Why should we pray? God is our loving Father and will give us good things when we pray. In the Sermon on the Mount, Jesus repeatedly refers to God as our Father. For example, Jesus taught us to pray, “Our Father in heaven, hallowed by your name” (6:9). Generally, parents want to give good things to their children (like a father gives his son bread and fish, not a stone and a serpent, vv. 9-10). Jesus says, “If you then, who are evil, know how to give good gifts to your children, how much more will your Father who is in heaven give good things to those who ask him!” (v. 11). The promise that Jesus gives us is that God will give us “good things,” not anything we want. We are often like little children, asking our Father for things we think are good but are actually bad. God’s “no” is always a good thing. God is perfectly good, so he always desires what is good for us. God is perfectly wise, so he always knows what is good for us. And God is perfectly strong, so he is able to do what is good for us. There are many biblical examples of people who were frustrated with prayer. One of these was the prophet Habakkuk. The book of Habakkuk begins with the prophet complaining to God about unanswered prayer: “O LORD, how long shall I cry for help, and you will not hear?” (Hab. 1:2). Frustration with prayer is common. We don’t know exactly how prayer works, but what we do know is that Scripture promises that prayer does work. When we pray, we must not forget that God is our Father and that he loves us and wants what is best for us. “See what kind of love the Father has given to us, that we should be called children of God” (1 John 3:1). John Piper, “Ask Your Father in Heaven,” http://www.desiringgod.org/messages/ask-your-father-in-heaven. Other Scripture passages used to support this teaching are Mark 11:22-24; John 14:12-14; 15:16; 16:23-24; 1 John 3:22; 5:14-15. Grant R. Osborne, Matthew, 264. “Judge not, that you be not judged. For with the judgment you pronounce you will be judged, and with the measure you use it will be measured to you” (vv. 1-2). It’s probably safe to say that the non-Christians favourite Bible verse is Matthew 7:1: “Judge not, that you be not judged.” If you say something is wrong, a non-Christian will often reply, “Didn’t Jesus say, ‘Judge not’”? Is it wrong to judge? The answer seems clear: Jesus said, “Judge not.” But if you really think about it, when a person says it’s wrong to judge, that person is making a judgment (i.e., judging a person for judging). Yes, Jesus said, “Judge not,” but when we interpret Scripture, we must always look at the context. In verse 6, Jesus says, “Do not give dogs what is holy, and do not throw your pearls before pigs, lest they trample them underfoot and turn to attack you.” “What is holy” and “[our] pearls” probably refer to the gospel. “Dogs” and “pigs” are probably people who are only interested in mocking the gospel. Jesus is telling us to stop sharing the gospel with them. This requires us to make a judgment (i.e., to discern whether or not the people with whom we are sharing the gospel are “dogs” and “pigs”). We should also examine what the rest of Scripture says about the same subject. There are several verses in the NT that tell us to judge between right and wrong and to correct another believer if necessary. For example, Galatians 6:1 says, “Brothers, if anyone is caught in any transgression, you who are spiritual should restore him in a spirit of gentleness” (cf. 1 Cor. 5:5; Phil. 3:2; Heb. 3:13; 1 John 4:1). So what did Jesus mean when he said, “Judge not”? He was saying that there’s a certain kind of person who should never judge. A judgmental person should never judge. What are the characteristics of a judgmental person? 1. A judgmental person lacks honesty about his own sinfulness. Jesus describes a judgmental person as someone who tries to remove a speck from someone else’s eye while he has a log in his own eye (vv. 3-5). A judgmental person feels superior to others, but he’s a “hypocrite” (v. 5). “If anyone thinks he is something, when he is nothing, he deceives himself” (Gal. 6:2). A biblical example of a judgmental person is the Pharisee in Jesus’ story of the Pharisee and the tax collector (Luke 18:9-14). 2. A judgmental person lacks a loving concern for others. How Can We Look Down on Others? Someone who has experienced the mercy of God can’t be judgmental. We “were by nature objects of wrath” (Eph. 2:3). We were helpless and hopeless. “But God, being rich in mercy, because of the great love with which he loved us, even when we were dead in our trespasses, made us alive together with Christ” (Eph. 2:4-5). How can we look down on others? Grant R. Osborn, Matthew, 258. “But seek first the kingdom of God and his righteousness, and all these things will be added to you” (v. 33). It’s been said that worry is “the disease of the twenty-first century.” There’s an anxiety epidemic in our world. People worry about the safety of their children, their finances, their health--the list goes on and on. Is there an antidote for worry? The antidote for worry is to daily put our faith in a sovereign God who loves us. Faith can either be either a good thing or a bad thing, depending on the object of our faith. Faith in God is a good thing because (1) he is able to provide what we need (“Is not life more than food, and the body more than clothing?”, v. 25), and (2) he cares about us (“Are you not of more value than [the birds]?”, v. 26). We can “[cast] all [our] anxieties on [God], because he cares for [us]” (1 Peter 5:7). Worry is irrational. You can try to reason with a worrier, but worriers are immune to reason. (They’ll say, “I know, I know, but….”) Jesus asks, “Which of you by being anxious can add a single hour to his span of life?” (v. 27). In other words, he’s saying that there’s no benefit to worrying. Jesus says, “Do not be anxious, saying, ‘What shall we eat?’ or ‘What shall we drink?’ or ‘What shall we wear?’ For the Gentiles seek after all these things, and your heavenly Father knows that you need them all” (vv. 31-32). Unlike the pagan Gentiles, we have a heavenly Father who knows about our needs. They were filled with worry, but we are to be different. Instead of worrying about the future, we should be doing what's right in the present. Jesus says, “Seek first the kingdom of God and his righteousness, and all these things will be added to you” (v. 33). “First” means “above all else.”  We are to “hunger and thirst for righteousness” (5:6). We can’t control the future, but we can seek to live righteous lives right now. Worriers live in the future, but Jesus says, “Do not be anxious about tomorrow, for tomorrow will be anxious for itself. Sufficient for the day is its own trouble” (v. 34). When you catch yourself worrying about something, remember the phrase “when the time comes.” The worrier thinks, “What will I do when [something bad] happens?” God will give you the strength to handle it when the time comes. Remember that God is sovereign and that he cares for you. Trust him. The words “Do not be anxious” are found three times in 6:25-34 (vv. 25, 31, 34). Michael J. Wilkins, Matthew, 296. Jesus was not saying we shouldn’t plan for the future or that we don’t need to work. God provides food for the birds (v. 26), but he doesn’t drop it into their beaks. Actually, chronic worry can be harmful to one’s physical health. Charles L. Quarles, Sermon on the Mount, Kindle location 5412. Jesus told us to ask our heavenly Father for our “daily bread” (6:11). “For where your treasure is, there your heart will be also […] You cannot serve God and money” (vv. 21, 24b). In 6:19-34, Jesus talks about money and possessions. Materialism is one of the big problems of our culture. Craig Blomberg writes, “It is arguable that materialism is the single biggest competitor with authentic Christianity for the hearts and souls of millions in our world today, including many in the visible church.”  We who are followers of Jesus are to be different. Our lives are not to be all about making money and acquiring possessions. Knowing and obeying God should be the treasure we pursue. All of us would probably say, “I don’t worship wealth. I don’t love money.” But are we fooling ourselves? What are your goals? What do you spend your time thinking about? Do you think about how you can grow in your knowledge of God and obedience to God? Or do you think more about material things (e.g., getting an iPhone, going on a dream vacation, saving money for retirement, renovating the house)? It’s foolish to devote your life to pursuing material wealth. Why? Jesus says, “Do not lay up for yourselves treasures on earth, where moth and rust destroy and where thieves break in and steal” (v. 19). Material possessions are temporary. They can be, as Jesus states, ruined or lost. Even if our possessions aren’t ruined or lost, we only have them during this life (like the rich farmer in Luke 12:15-21). Wealth is most attractive when we view this life as all there is. Jesus declares, “But lay up for yourselves treasures in heaven, where neither moth nor rust destroys and where thieves do not break in and steal” (v. 20). Knowing and obeying God should not be seen as a duty but as a delight. Why? Because of what God has done for us. “God shows his love for us in that while we were still sinners, Christ died for us” (Rom. 5:8). Our hearts should belong to God. We should treasure nothing more than knowing and obeying him. Craig Blomberg, Neither Poverty nor Riches: A Biblical Theology of Material Possessions, 132. Michael J. Wilkins, Matthew, 303. Wilkins writes, “When we focus on something evil, the eye becomes the conduit by which evil fills the inner person” (Matthew, 295). Tim Keller, Counterfeit Gods, xvii. “You have heard that it was said, ‘You shall love your neighbor and hate your enemy.’ But I say to you, Love your enemies and pray for those who persecute you” (vv. 43-44). How Is It Possible to Love Our Enemies? In the English language, “love” has many meanings. John 3:16 helps us understand the biblical meaning of love: “For God so [in this way] loved the world, that he gave his only Son, that whoever believes in him should not perish but have eternal life.” To love as God loves means to give of ourselves for the benefit of others. An enemy is someone who hates you (e.g., someone who “revile[s] you and persecute[s] you,” Matt. 5:11). An example of someone in Scripture who loved his enemies was Stephen, who prayed while he was being stoned to death: “Falling to his knees he cried out with a loud voice, ‘Lord, do not hold this sin against them’” (Acts 7:60). How is it possible for us to love our enemies? We will never be able to love our enemies unless we see God's grace as amazing. The apostle Paul writes, “God shows his love for us in that while we were still sinners, Christ died for us” (Rom. 5:8). Later, he says, “While we were enemies we were reconciled to God by the death of his Son” (Rom. 5:10). God sent Jesus to this earth to die for his enemies. Jesus says, “You have heard that it was said, ‘You shall love your neighbor and hate your enemy’” (v. 43). “You shall love your neighbor” is from Leviticus 19:18, but nowhere does the law say, "Hate your enemy.”  According to Exodus 23:4-5, people were to help their enemies: “If you meet your enemy’s ox or his donkey going astray, you shall bring it back to him. If you see the donkey of one who hates you lying down under its burden, you shall refrain from leaving him with it; you shall rescue it with him” (cf. Prov. 25:21). The Jews wanted to restrict who their neighbour was. Jesus was once asked, “Who is my neighbor?” (Luke 10:29). He answered by telling the parable of the good Samaritan (Luke 10:30-35). The Samaritans and the Jews were enemies, but the good Samaritan helped the Jew who was in trouble. The Samaritan’s enemy was his neighbour. Jesus states that God provides sun and rain for all people—even his enemies: “He makes the sun rise on the evil and on the good, and sends rain on the just and on the unjust” (v. 45b). We are to love like God, which means that our love is to be very different from the world’s love: “For if you love those who love you, what reward do you have? Do not even the tax collectors do the same? And if you greet only your brothers, what more are you doing than others? Do not even the Gentiles do the same?” (vv. 46-47). Our goal is the perfect love of God. To obey God’s law, we must love. Jesus said that the two greatest commandments are “You shall love the Lord you God with all your heart and with all your soul and with all your mind” (Matt. 22:37) and “You shall love your neighbor as yourself” (Matt. 22:39). “The one who loves another has fulfilled the law” (Rom. 13:8; cf. v. 10). “The whole law is fulfilled in one word: ‘You shall love your neighbor as yourself” (Gal. 5:14). At the age of seventy-five, Abraham was given an incredible promise from God. He and his wife Sarah would be given something that they had desperately wanted for so many years: a son. But years after the boy’s birth, a shocking command came from God to Abraham: “Take your son, your only son Isaac, whom you love, and go to the land of Moriah, and offer him there was a burnt offering” (Gen. 22:2). We will never be able to love our enemies unless we see God’s grace as amazing. Like hot coffee makes a mug warm, God’s grace warms our hearts. Stephen was following the example of Jesus, who prayed for his enemies while dying on the cross: “Father, forgive them, for they know not what they do” (Luke 23:34). We also see from Stephen and Jesus that love is not incompatible with rebuke (Acts 7:51-53; Matt. 23:1-36). Generally, the Jews of Jesus’ day considered fellow Jews as their neighbours and Gentiles as their enemies. Jesus is not saying that we become God’s children by loving our enemies. “He is not giving the means by which one becomes a child of God but indicates that love makes explicit the relationship between God the Father and Jesus’ disciples” (Michael J. Wilkins, Matthew, 253). Alfred Plummer, An Exegetical Commentary on the Gospel According to St. Matthew, 89. Charles L. Quarles, Sermon on the Mount, Kindle locations 3442-3447.